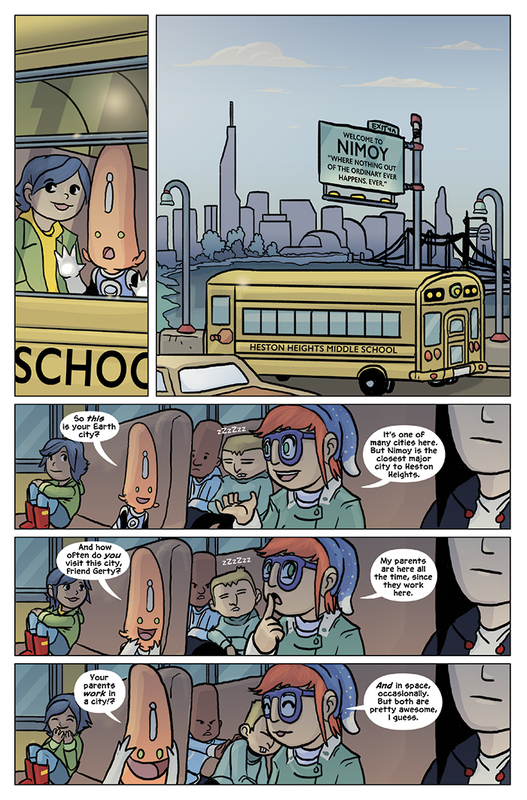 And here’s Albert’s first glimpse at a city on Earth: Nimoy. Do I need to tell you who we named the city after? For Albert’s town, we decided to call it Heston Heights – named after Charlton Heston, an actor who starred in a lot of influential sci-fi movies such as Planet of the Apes. So for the nearby city we decided to call it Nimoy, after Leonard Nimoy, the actor who played Spock on my favorite TV series of all time: Star Trek! What are your favorite sic-fi series or characters? Let me know in the comments!